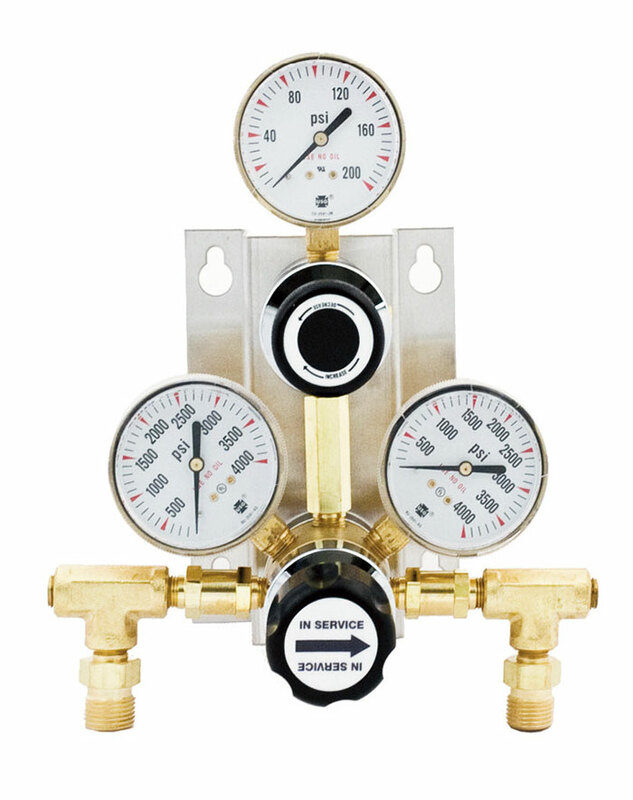 The Series 914 semi-automatic changeover manifold is another solution for providing an uninterrupted supply of gas to your instrumentation or process. It incorporates a specially machined two-regulator in one body that simplifies changeover operation and reduces the wall space required. The feed and line regulators are of high purity construction with stainless diaphragms and diffusion resistant construction capable of passing a helium leak rate test of 1x10-9. Available in both brass and 316SS construction, the 914 Series is provided complete with changeover regulator and line regulator installed on a mounting bracket for easy installation. Pigtails and/or manifold sections are ordered separately. The manifold is assembled using the 914 central control section shown on this page and two manifold sections from pages 48 and 49 or a pigtail set from the list below to provide the supply banks. A simple two station semi-automatic manifold commonly used to ensure a continuous supply of carrier gas to a gas chromatograph employs a central control section with a pigtail installed on both inlets. 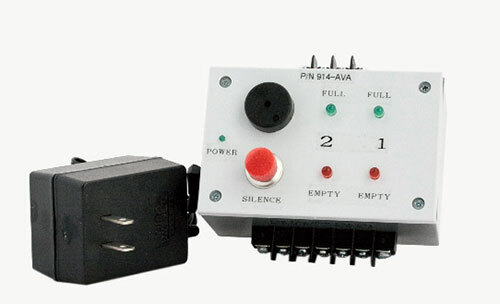 *When unit is ordered with accompaning pigtails the inlet connections will be the mating CGA connection of the pigtail. *Specify CGA connection when ordering. Y = pigtail length in feet.